The Best Western Victoria Square Hotel is located on a tree-lined square in Bristol, amidst a beautiful tree-lined neighborhood and a peaceful setting, but with acces sto the liverlier parts of the city. 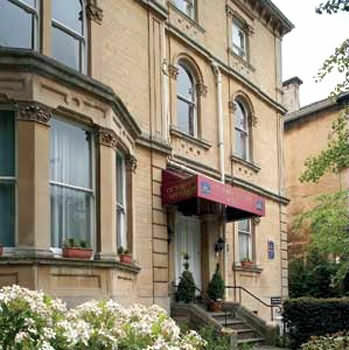 Made up of two Victorian houses and located in the heart of Clifton village, the Best Western is a mile from the center of Bristol and the city's university, and surrounding cities to visit include Bath, Cardiff, and Cheltenham. There are 41 rooms at the Best Western Victoria Square, as well as a restaurant, bar, meeting room, complimentary wireless internet, and 25 parking spaces. All the pleasant and cozy rooms include a TV, telephone, hair dryer, tea and coffee making facilities, and a private bathroom, among other amenities. The Long Ashton Golf Course and the Bristol & Clifton Golf Club are both just three miles from the hotel, and there are wonderful museums, the Cotswold Way, and the Severn Bore nearby as well.